Officials at the Saudi Arabian Motor Federation (SAMF) have announced an international field of 40 cars and seven motorcycles and quads will tackle this weekend’s 14th Ha’il Nissan International Rally, starting on Saturday and finishing on New Year’s Day. Defending champion Essa Al-Dossari tops the car field in his South African-built Nissan Navara, but the Saudi driver faces competition from a host of drivers from the host nation, Kuwait and the UAE. Navigators from Russia, France and Oman boost the international flavour of the event. Among the phethora of 24 Nissans that dominate the entry list, former winner Ibraham Al-Muhanna wheels out a new Mercedes 4x4 and the competitive Saleh Al-Saif will be hoping to top the leader board again in his Can-Am. Abdullah Al-Asmar Rimal wheels out the first of the Toyotas with Kuwaiti navigator Nawaf Al-Anzi. Saudi Arabian drivers, including Meshaal Saud Al-Saidi, Khaled Al-Feraihi and Ahmed Abdullah Al-Shehail, feature at the head of the entry list, but Kuwaiti and Emirati drivers will be hoping to win the event for the first time in its 14-year history. Salem and Fares Al-Dhafeeri lead the Kuwaiti challenge in their Nissan Patrol, where they line up against the UAE’s experienced Khaled Al-Jafla, Kuwait’s Nasser Mohammed Al-Ajm and Emirati Abdullah Al-Heraiz in the second of the ED Racing Nissans. 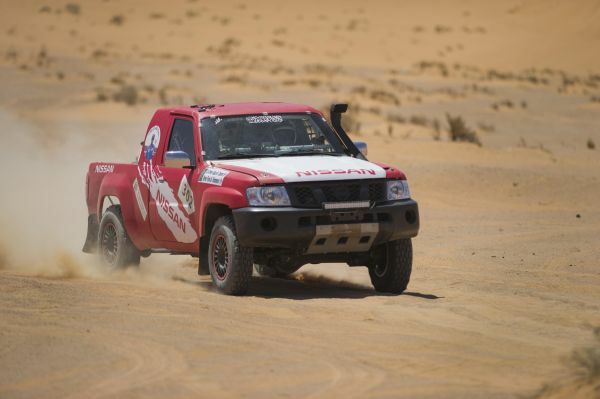 Other international entrants include Abu Dhabi-based veteran desert racer Yayha Al-Helai and his navigator Khaled Al-Kendi in a Nissan Pick-up. The 14th edition of the event is being organised by the Ha’il Regional Development Authority in co-operation with the General Authority for Tourism and National Heritage and the General Authority for Sport. It is being held under the patronage of His Royal Highness Prince Abdul Aziz Bin Saud, Governor of Ha’il and President of the Supreme Commission for Ha’il Development. The first motorcycles will cross the start podium at 14.30hrs on Saturday afternoon (December 29) with the leading car following at 15.00hrs.